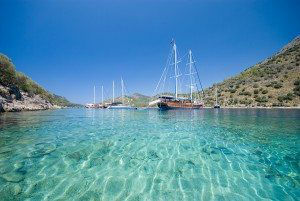 Whether enjoying a Gulet charter, a mega yacht charter or a sailing yacht charter in Turkey; a yacht charter that includes Gocek Bay (technically Fethiye Gulf, but known to the yachting world as Gocek Bay) in Turkey is a great opportunity to visit so many different anchorages with so many things to do and see. From the Twelve Islands, to the ruins of “Cleopatra’s Baths”, several days can be spent just in the Bay when cruising on a luxury yacht charter in Turkey. 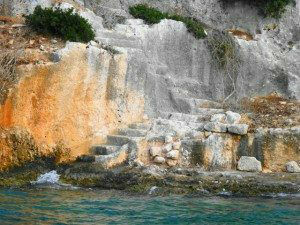 The ruin of “Cleopatra’s Baths” in Manastir Bay, is probably the most well-known location in Gocek Bay. While absolutely gorgeous ruins are set in an idyllic anchorage, ringed with pine trees, and half submerged in beautiful crystal clear waters in shades of blue and green; the ruins, while certainly Roman built, were probably not built for Cleopatra as legend states. None the less, this is a terrific, not often found, location in which to splash around Roman bath ruins, and is a great photo opportunity. Close by Manastir Bay is Wall Bay, where a Roman wall still exists built almost down to the shoreline. Around the corner is Tomb Bay, where Lycian Tombs can be easily seen carved out of the cliff sides. 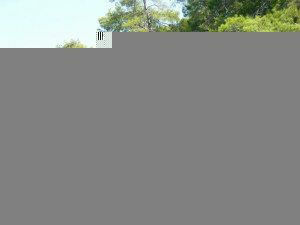 Visit Tersane Adasi Island where there are Byzantine ruins of a small settlement ringing a quiet little island harbor. 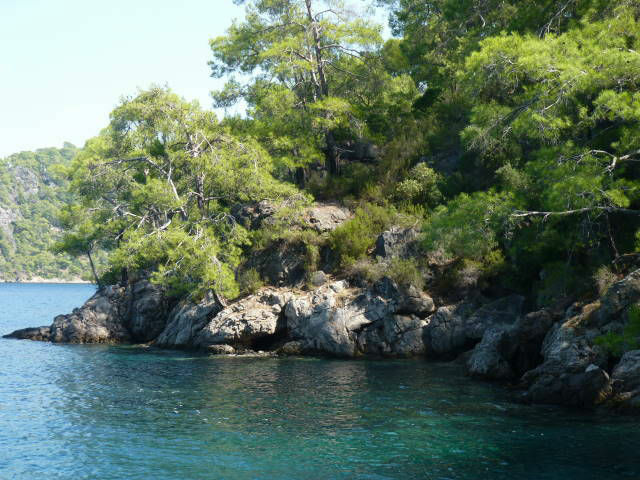 Overall in Gocek Bay, on the Twelve Islands, there are some private villas on the shoreline, but of many of the islands have great beaches to enjoy, and are only inhabited by wild goats and rabbits. This is a perfect opportunity to loll around and enjoy the warm shallow waters of Gocek Bay along beaches that can only be reached by a luxury yacht charter. 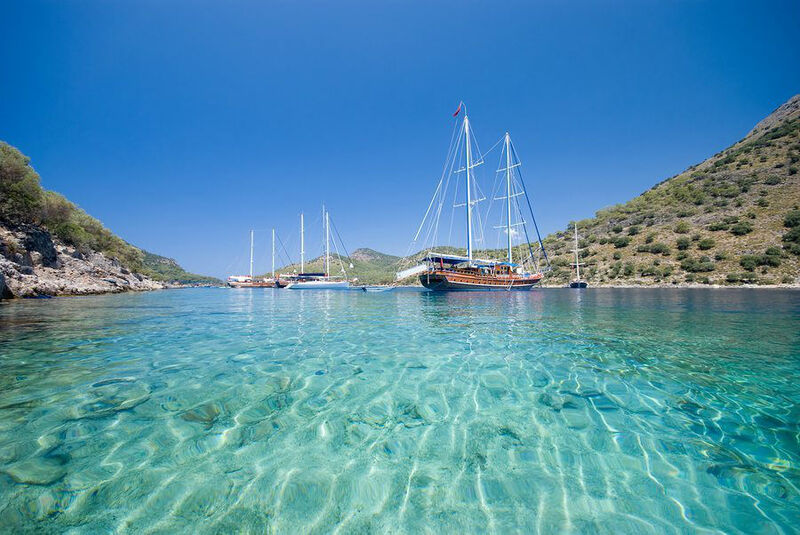 And as sailing yacht, mega yacht and Gulet charter are readily available in Turkey, it is very easy to enjoy a charter out of the town of Gocek to explore Gocek Bay.